Through an oversight, we missed posting President Doug’s presentation at the Annual Meeting. Here it is: 2019 President’s Report. If you tried to view it before and were not able to open it, please try again. Here is the group photo taken at the Mike & Key Swap Meet. Soon, I plan to create a photo album page to collect photos of all our events. 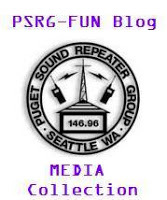 The next PSRG Board Meeting is on June 8, 2019 at 1:30 PM at the Salmon Bay Cafe, 5109 Shilshole Ave NW, Seattle. Your input to the discussions is always encouraged, although only board members will vote. A Great PSRG Annual Meeting!